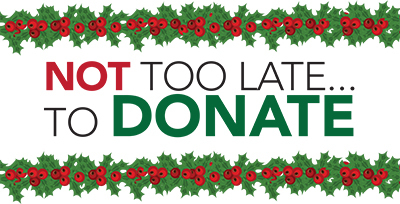 For those of us who like to save things to the end of the year, here’s some good news: There’s still time to donate to the School Nutrition Foundation and support SNA members through education, research and scholarships. Your change helps others make a big change. Receive education scholarships, totaling over $100,000 last year! Attend conferences like SNIC, LAC and ANC. Improve or expand their kitchens through equipment grants. No other organization supports the dedicated men and women in the school nutrition profession like SNA and its Foundation. Your tax-deductible donation helps us expand and improve programs that serve the members who serve our nation’s children every school day. You are making an investment in the future of school nutrition! On behalf of the children who have healthy meals at school each day—thank you for your contribution!